A major 2015 initiative for APC is revitalizing their commitment to the channel. Their rallying cry is: Partnership, evolved. 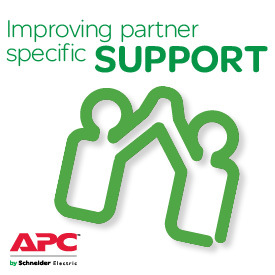 The focus is on supporting you, APC’s valuable partners. No matter if you sell $1,000 of APC product annually or more than $1 Million, APC is focused on supporting the channel. That spells opportunity for you. As a critical first step in committing to the growth of the channel, APC has put in place a network of Partner Development Representatives (PDRs) and Partner Development Managers (PDMs) to help you partners out there grow your business with APC. Now, in North America, there is an easy answer to the question – Who do I call? The PDRs and PDMs are there to provide you, the partner, with a single point of contact at APC. Whether you need configuration assistance and quotes or information about different partner programs and incentives, your Partner Development Representative should be the first person you call. The PDRs and PDMs are assigned by geographic area and, in all likelihood, your APC contact has already reached out to you. In case you haven’t heard from your PDR or PDM yet or if you haven’t registered as an APC Partner, click here to see a list of the PDRs in your region. Give your PDR a call and get started today! Your Partner Development contact has been tasked with supporting the growth of your business with APC. It’s their job to help you sell more and they are equipped to help in any way they can between introducing you to product experts, cross-referencing competitor products, helping you elevate your partner status at APC, or making sure you are taking advantage of all the channel partner programs APC offers. 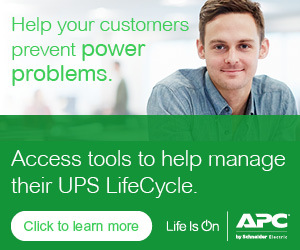 Using programs such as the Attach Incentive Program (AIP), you can purchase APC power products at a discount when sold as part of larger IT solution from Dell, HP, Cisco, NetApp, and EMC2. Or, the SMB Solutions Program where you can get discounts up to 12% on a total APC Solution that includes a rack, UPS, and a PDU. Along with the support or PDRs and PDMs, APC has enhanced many of their sales and incentive programs in addition to online marketing resources and virtual events. We’ll discuss all of these programs in detail in future posts, but to learn more in the mean time, contact your PDR or PDM for assistance and keep checking your APC partner page and back here at APC Partner Central. Now that is Partnership, evolved.